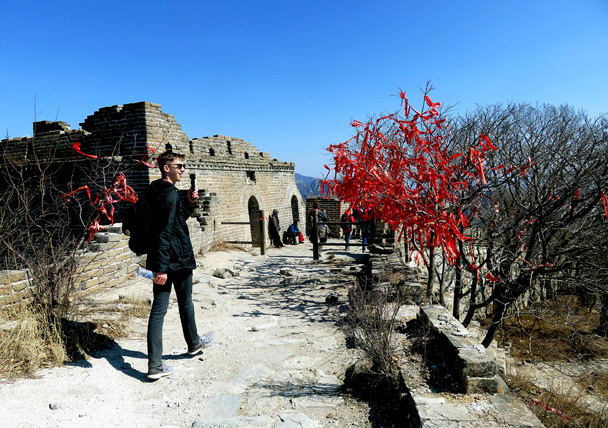 In Brief: Fourteen photos from the hike from Jiankou to the Mutianyu Great Wall, with blue skies and superb views. 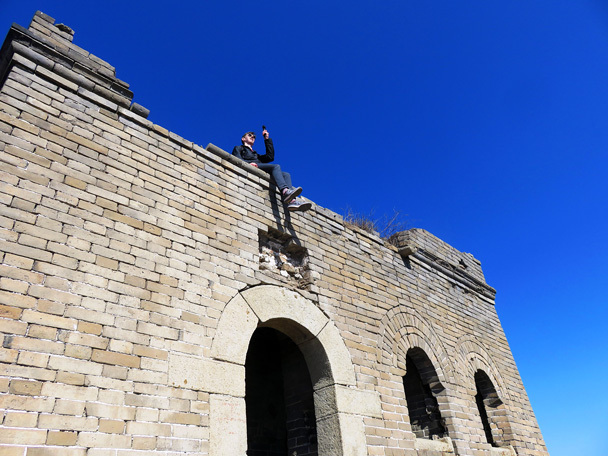 Arriving at the western end of the Mutianyu Great Wall. 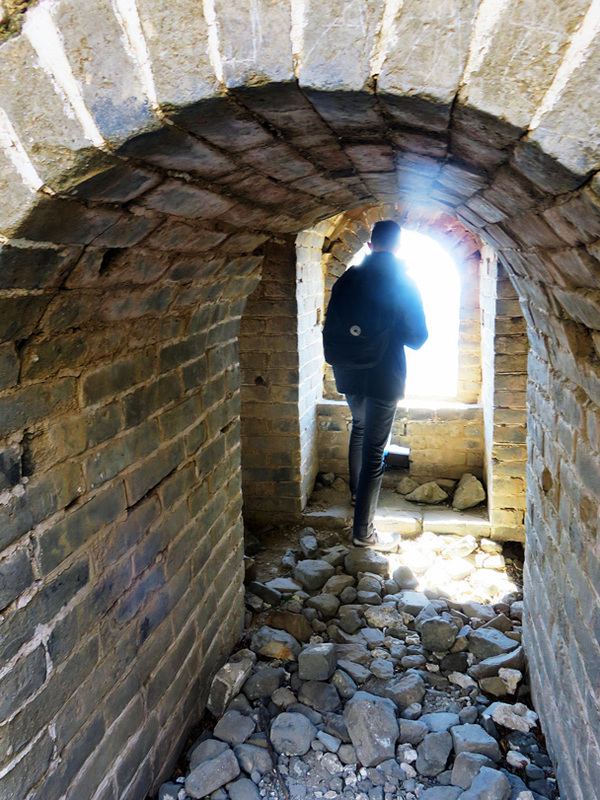 We start off at a small village at Jiankou and hike hill trails up to the General’s Tower. 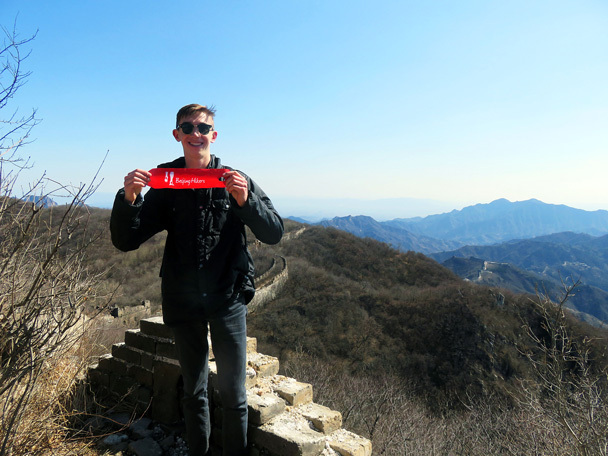 At nearly 1,000m above sea level the views from the tower are excellent, with all the steep and dramatic lines of Jiankou’s unrepaired Great Wall in sight. 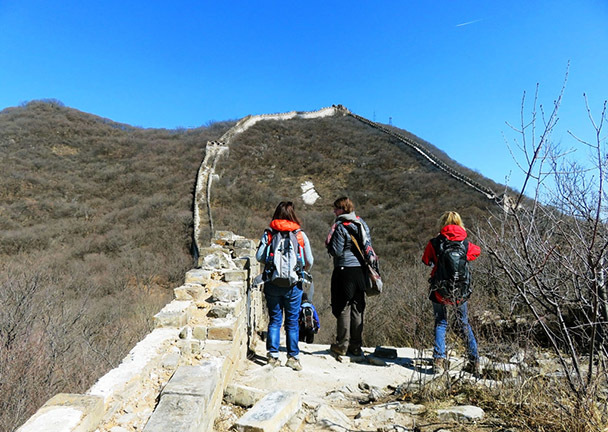 The hike continues along unrepaired wall and into the park area at at Mutianyu, where the wall has been repaired and looks like it might have when first built way back in the Ming Dynasty. 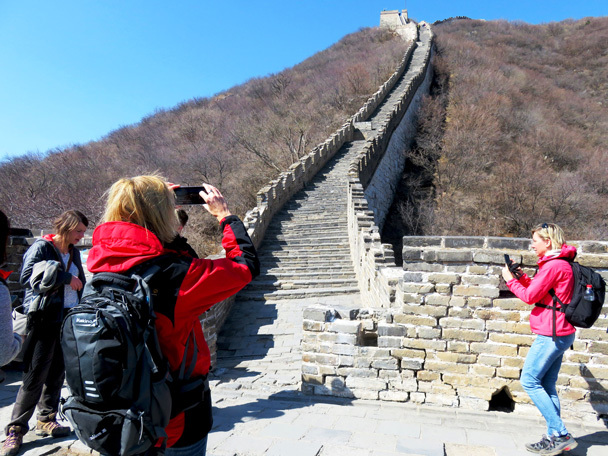 On this visit we had clear air and blue skies, which is great for photography – photos below! Starting the climb up to the General’s Tower. 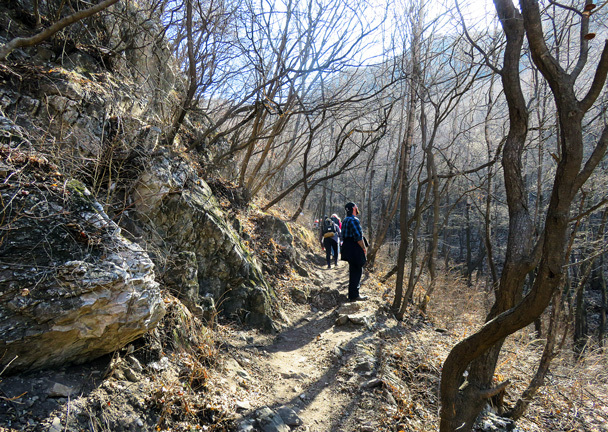 A narrow path through forest, with the wall in view high above. 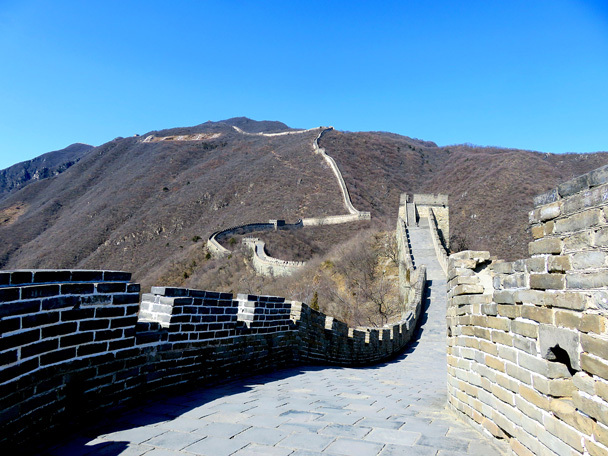 Here’s the view from the General’s Tower. 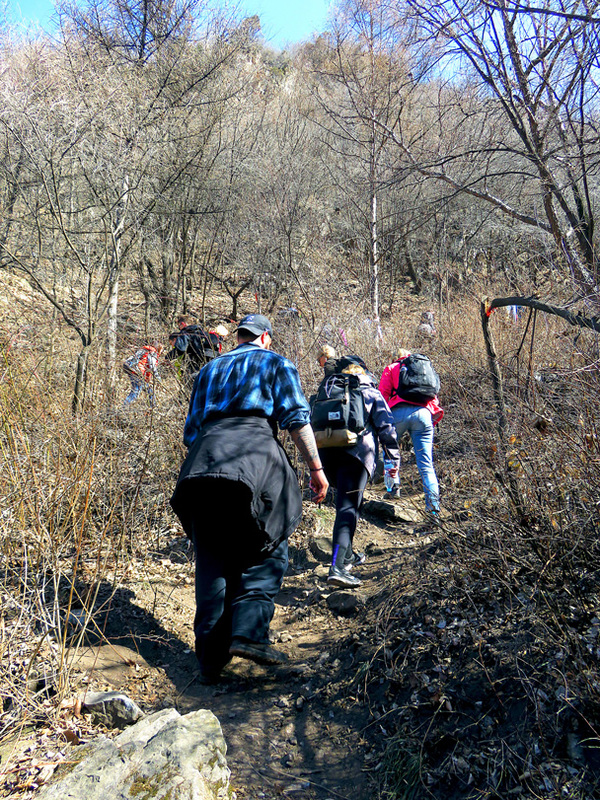 Some of the steepest sections are in the foreground. 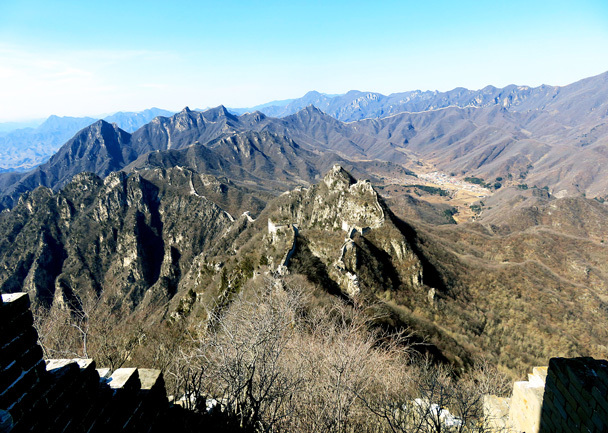 In the far distance you can see Jiankou’s ‘Big West’ Wall, which is another place we like to hike in the area. Perfect place for a photo. 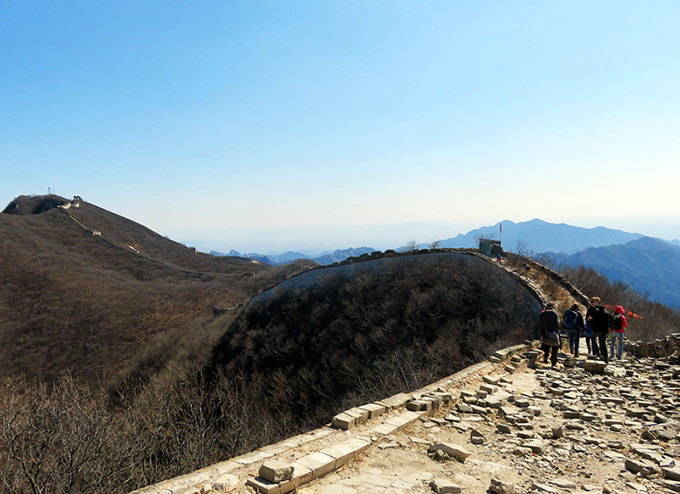 The Mutianyu Great Wall is just over this hill. 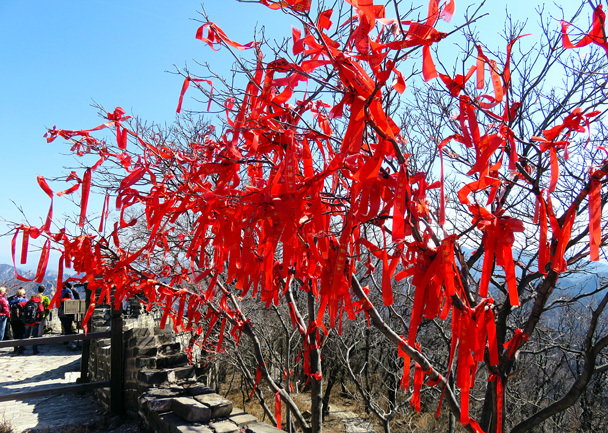 More red ribbons – not ours, these ones! The ribbons here are tied for good luck. 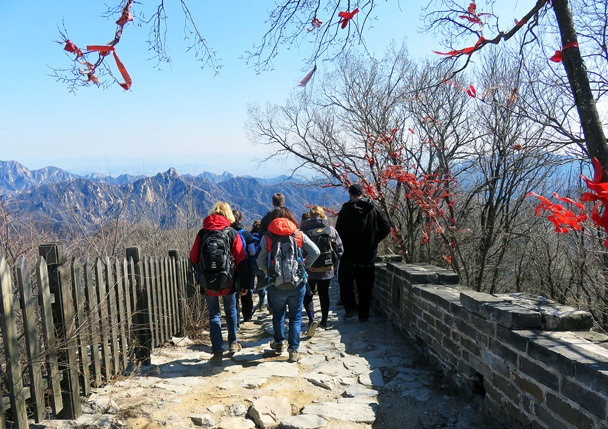 We hiked down these steep stairs. 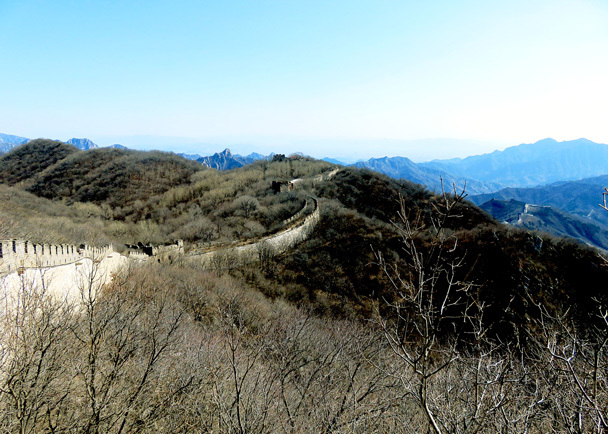 The eastern end of the Mutianyu Great Wall. 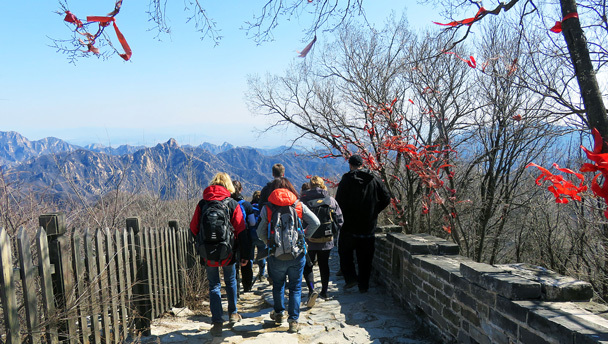 In Brief: See 40 photos from the Gubeikou Great Wall Loop hike, showing the scenery of late September.